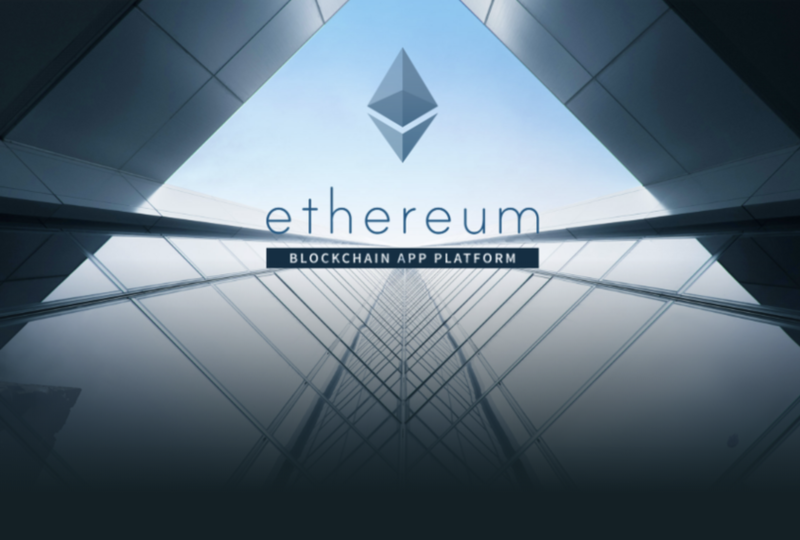 Ethereum Blockchain Platform a decentralized platform that runs smart contracts: applications that run exactly as programmed without any possibility of downtime, censorship, fraud. Blockchain – a fork of the world-known Ethereum blockchain platform in a “Private” mode. 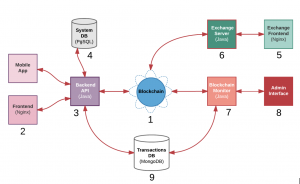 In this configuration, all blockchain nodes are situated inside the system and cryptocurrency users should use one of the client applications to connect the currency backend functionality. Business logic implemented using Ethereum “smart contracts” – code blocks executed distributedly and shared between all nodes in the blockchain network. Frontend – client applications providing basic user interfaces to work with the currency. There are several applications for different platforms: web browser, iOS, and Android native clients. Exchange Server – server-side application implementing the business logic of the Currency Exchange. Exchange Server provides REST interface and could be considered as an extension to the Backend API. Blockchain Monitor – server-side application monitoring blockchain events (blocks, transactions) and logging them into Transaction DB for future search and analysis. Transaction DB – fast scalable data storage used for storing transaction events.